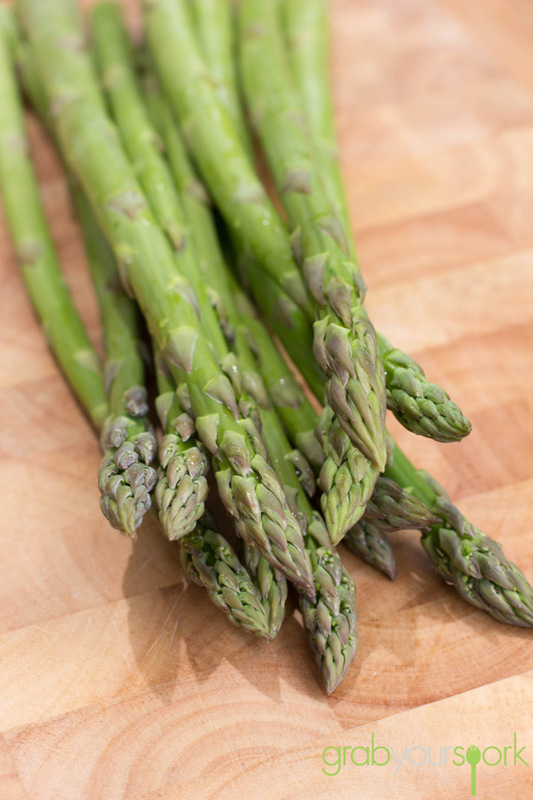 After making a trip to the local shops last weekend we came across some fresh Albany asparagus. Peak production for asparagus is from October to December in WA so these vibrant spears looked too good to walk past. 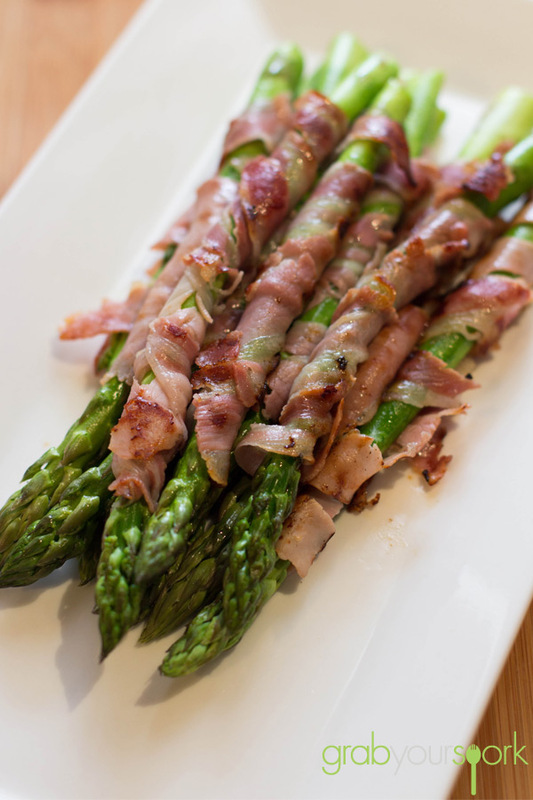 This recipe for prosciutto wrapped asparagus is so simple and only uses two ingredients. This recipe can easily transform any breakfast, accompany a main or easily be served on their own as an entree or finger food when entertaining. 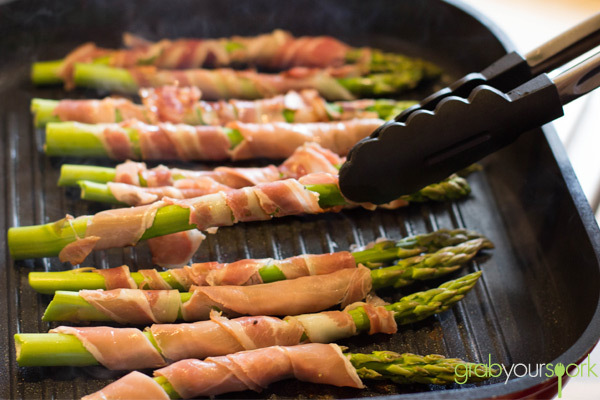 Of course I was immediately won over with the spears being wrapped in salty prosciutto and through grilling the asparagus in the pan gave them a nice charred flavour. Now depending on how thick your asparagus is, some people may wish to quickly black the asparagus first. However I found cooking the asparagus simply in the pan still left asparagus nice and crisp and was cooked through. I am definitely happy to have this again, and might have the remaining spears for breakfast with some eggs. 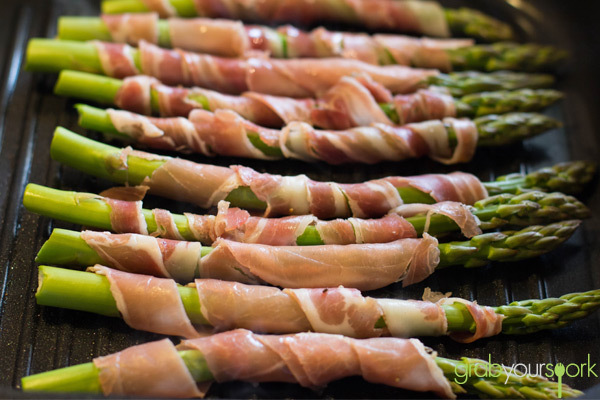 These prosciutto wrapped asparagus spears can easily transform any breakfast, accompany a main or easily be served on their own as an entree or finger food when entertaining. Wash asparagus thoroughly, and break off any tough, white bottoms. (This is done through simply bending the end of the asparagus which will cause the end to break away). 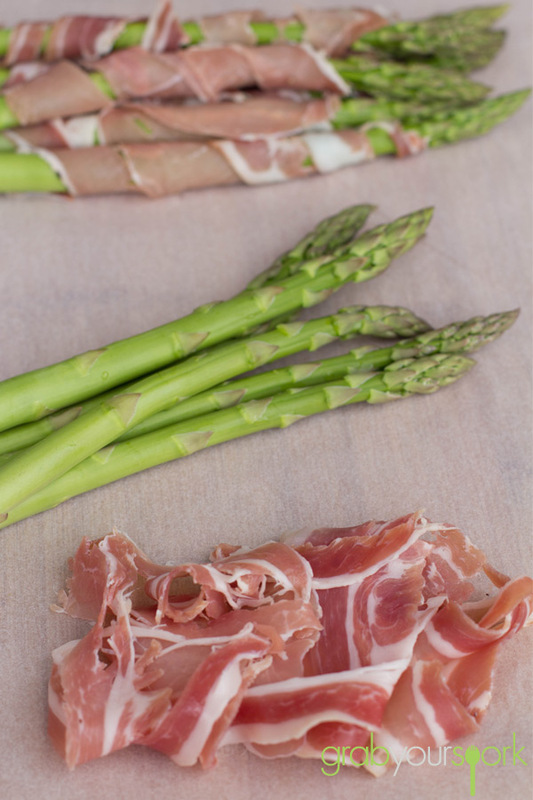 Simply wrap your prosciutto around the asparagus leaving the tips exposed. Don’t worry if parts of the asparagus spears aren’t covered completely. Heat a non still grill pan on the stove till hot. 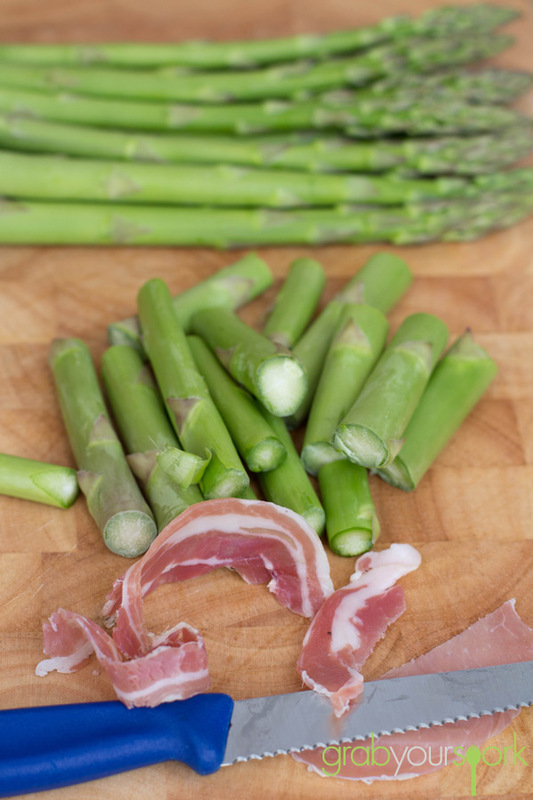 Cooked the wrapped asparagus spears for 1 -2 minutes on each side until prosciutto is brown and crispy. 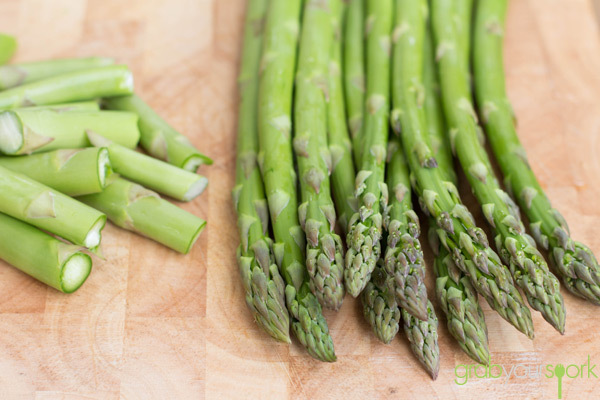 You can pre-wrap the asparagus ahead of time and store in the fridge until it is ready to be cooked.